00:46:37 <jhizzle> SubStack: Very cute. 01:33:12 <isaacs> SubStack: what is sox? 04:37:26 <jesusabdullah> SubStack: http://www.docopt.org/en/0.2.0/index.html It's maaaagic! 04:55:59 <jesusabdullah> I think this is a great idea. I love domain-specific languages! 04:56:06 <jesusabdullah> They're soooo idiomatic! 05:16:41 <devaholic> jesusabdullah: is that what its about? 05:53:37 <devaholic> jesusabdullah: did you read the whole thing? 06:27:27 <jesusabdullah> "jesusabdullah finished his work early and is reading a book about M.C. 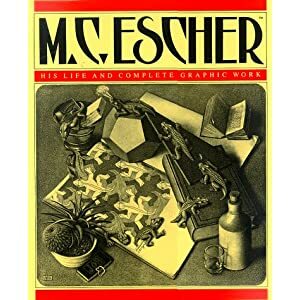 Escher." 09:24:44 <SubStack> what was your attempt at this idea? 18:46:22 <isaacs> SubStack: have you ever used pushover with basic auth? 18:46:52 <isaacs> SubStack: i'm adding the remote as https://user:[email protected]:1337/node, but when i push to it, the https server doesn't see any authorization header. 18:49:06 <isaacs> SubStack: you sure you're not thinking of digest auth? 18:51:05 <isaacs> lemme try sending a 401 if it comes in without auth. 18:52:47 <isaacs> yeah, then git says "fatal: Authentication failed"
20:51:47 <Raynos> SubStack: Can I still use the same push API from https://github.com/substack/testling-mocha/blob/master/harness.js ? 21:26:25 <SubStack> Raynos: why are you using the built-in testling thing? 21:27:11 <Raynos> oh that print is prepended with "testling cmd"
21:27:12 <SubStack> also you have an absolute path for main? 21:27:51 <SubStack> are there any big binary blobs in node_modules? 21:35:14 <Raynos> $(find -name \*.js) is recursive? 21:38:21 <Raynos> anything that might be wrong or allow for easier debugging? 23:31:27 <jesusabdullah> but it's more or less the same idea I think? 23:36:46 <isaacs> two drones up and running. this is rad. 23:37:52 <SubStack> using raw pushover or fleet? 23:38:15 <jesusabdullah> SubStack: lol "clazz"
23:40:14 <isaacs> SubStack: but optimized for "checkout and test" rather than "checkout and startup"
23:40:31 <SubStack> this is why we have separate modules!